Staying relevant is like going to the gym and working out everyday. Going to the gym to watch other people workout wont get you in shape. You must workout on your own and if you want to see results then you must workout a few times a week. Creating buzz and relevance online is exactly the same. You must be releasing content at least once a week, just like you would need to be in the gym at least once a week, if you’d like to stay in shape. The more days that you’re working out at the gym, the faster you will start seeing results. There is no quick or easy way to remain relevant, besides constantly creating new content. True relevance means thousands of people are searching for you, on a daily basis. If no one is searching for you, then you are irrelevant. Don’t feel bad about it, just create content that will get people talking and searching for you or your brand. 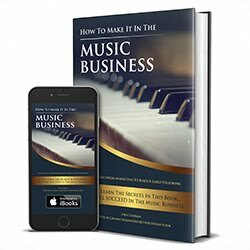 The video above is the audio version of Chapter 16 from my book "How To Make It In The Music Business: Using Social Media Marketing To Build A Large Following".